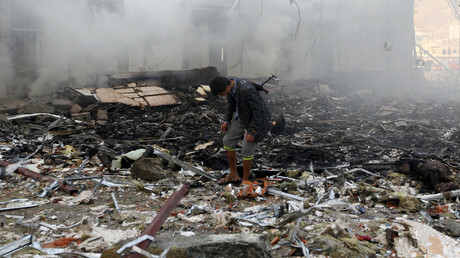 Washington reserves the right to strike targets in Yemen whenever “necessary and appropriate,” President Obama told Congress after the US military carried out its first direct attack in the bloody conflict, using the pretext of self-defense. 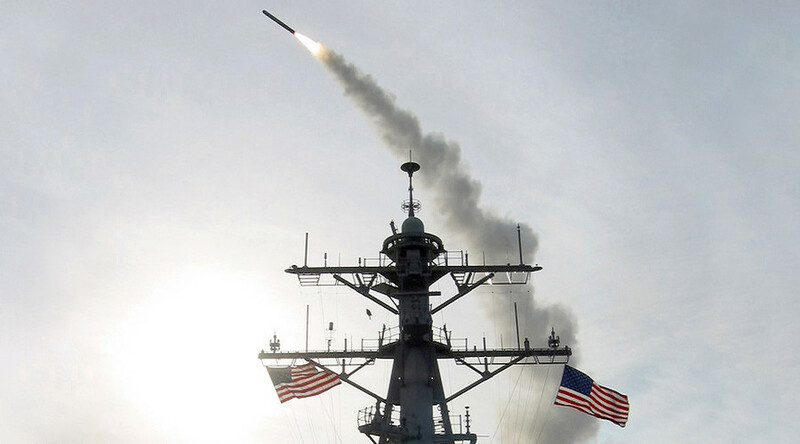 This week, for the first time since the 18-month-old conflict began, USS Nitze launched Tomahawk cruise missiles at targets in Yemen in retaliation for alleged attacks on the US Navy. The initial Pentagon assessment said that the “self-defense” attack resulted in the destruction of three radar sites, with no indications of civilian casualties. “These limited and proportionate strikes were conducted to protect our personnel and our ships and will preserve our freedom of navigation in this important maritime passageway,” Obama explained. At the same time, Obama stressed that any other attempts to interfere with the US interests in the area would not be tolerated, warning that counter actions would follow if an attack on US personnel in the region is made. “The United States stands ready to take action in self-defense, as necessary and appropriate, to address further threats,” Obama wrote. The American leader’s statement somewhat contradicts the Pentagon’s assessment presented a day earlier. 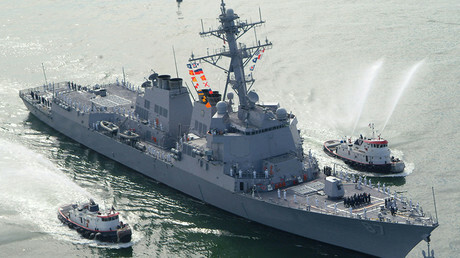 Meanwhile the Houthis have denied any attempts to strike US warships calling the US allegations “false justifications” that pave the way for a further escalation of the bombardment of Yemen which so far has been carried out only by the Saudi-led coalition. “These allegations are unfounded and the army as well popular forces have nothing to do with this action,” an official said in a statement to the Houthi-controlled Saba news agency. Meanwhile, Houthi military spokesman Sharaf Luqman expressed “total readiness” to cooperate with any investigation so as to find the party responsible for firing on the US vessel, Anadolu reported. Iran in the meantime reacted to the US escalation by moving its navy closer to Yemen’s waters, deploying a number of warships to the Gulf of Aden. Obama’s use of his constitutional power as Commander in Chief potentially changes the landscape of US involvement in Yemen. For 19 months the US has merely been focused on supplying the Saudis with arms and surveillance, and some technical air assistance. The decision to use the military option by the Peace Prize winner also comes in the wake of repeated criticism from human rights groups, which on a number of occasions accused the Saudi-led coalition of striking civilian targets. Just on Thursday, Human Rights Watch called for an immediate investigation, following a Saudi-led strike on a funeral service which killed over 100 people and wounded more than600 others. Yet despite the fact that at least 4,125 civilians have been killed and 7,207 wounded in Yemen between March 2015 and October 2016, Obama used his powers to commit US armed forces in direct military action. The War Powers Resolution (also known as the War Powers Act) is a federal law intended to act as a check on American executive power to commit the US to an armed conflict without the consent of the Congress. The resolution requires the Commander in Chief to notify Congress within 48 hours of committing US armed forces to military action. The act allows the American forces to engage abroad for not more than 60 days but allows further 30-day withdrawal period. All this without a congressional authorization for use of military force (AUMF) or a declaration of war by the United States. OP-EDGE: Iranian ships in Gulf of Aden: How far might Yemen escalation go? Former President Bill Clinton used war powers in the former Yugoslavia, Bosnia, Kosovo, Iraq, and Haiti. In 1999, during the bombing campaign in Kosovo, US forces were deployed for more than two weeks after the 60-day deadline had passed. His successor, President George W. Bush used war powers in responding to terrorist attacks against the US after September 11, 2001. Obama used it to participate in striking targets in Libya in 2011.